E.R Holistic Beauty is the first holistic beauty salon in Southwell to use exclusively plant based products. 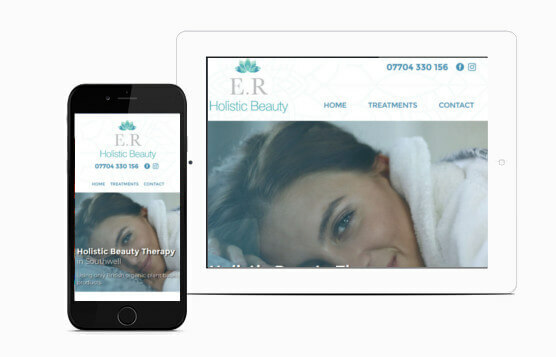 E.R Holistic Beauty wanted a website to establish an online presence for their business. An attractive design was needed to promote all the services offered. We started from scratch creating a brand new logo and designing the website to ensure that it was full of content about all the services provided. The design used the brand and colours throughout creating an attractive 3-page website that encourages visitors to read through the site.